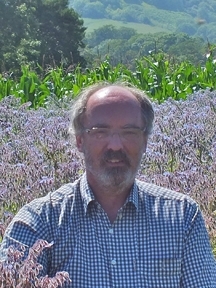 Francis Ratnieks in field of borage, Plumpton College, Plumpton, East Sussex, England. How can we help honey bees through research? That's the topic that Francis Ratnieks, professor of apiculture, University of Sussex, United Kingdom, will cover when he presents a seminar on Wednesday, Dec. 7 at the University of California, Davis. He'll deliver the seminar, "How Can We Help Bees Via Research? 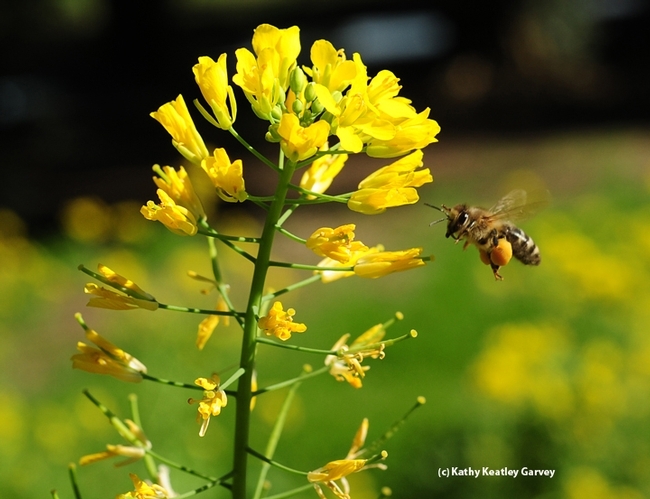 The Sussex Plan for Honey Bee Health and Well Being" from 4:10 to 5 p.m., in 122 Briggs Hall. He is a leading researcher on kin selection and social evolution. Ratnieks will be introduced by assistant professor Brian Johnson, who studies the behavior, evolution, and genetics of honey bees. How to improve foraging, including using the honey bee waggle dance to investigate foraging ecology and how to put the process of recommending bee friendly plants onto a stronger scientific basis. The seminar, open to all interested persons, will be recorded for later viewing on UCTV. Here's where to access the Department of Entomology and Nematology's recorded seminars.